Where to Retire magazine, the only magazine in America geared to helping people with retirement relocation decisions, has selected Las Cruces, New Mexico, to profile as a top places to retire in the May/June issue, which mailed to subscribers nationwide on April 1, 2010. According to Where to Retire editor, Mary Lu Abbott, Las Cruces, New Mexico has many of the qualities that are important in a top place to retire. “Las Cruces has a sunny climate that’s dry and not too hot, and it’s a comfortably sized city with educational and medical facilities. There’s a rich multicultural heritage with fun celebrations and a fiery cuisine, and it’s all topped off with a spectacular setting against a mountain backdrop,” Abbott said. Each year, 700,000 Americans move to new places to retire. Generally healthier, better educated and more affluent than retirees who stay put, relocating retirees bring significant economic benefits to their new states and hometowns. Nationally, two dozen states and hundreds of towns seek to attract retirees as a source of economic development. 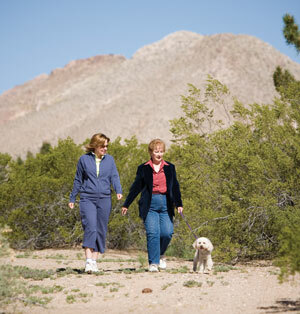 Picacho Mountain in Las Cruces, New Mexico offers retirees all the benefits of living in Las Cruces, plus the added benefit of being a certified green master planned community, with a variety of lifestyle amenities. Call 575-523-2500 or contact us today for more information about all that Las Cruces, New Mexico has to offer and how to find your dream home at Picacho Mountain. Where to Retire magazine was launched in 1992 with the goal of helping its readers find the ideal place to retire. Now published six times a year, the magazine covers the best retirement regions, towns, and master-planned communities, and has a national circulation of 220,000. A one-year subscription to Where to Retire is now $18.00 (a 39% savings from newsstand price). The magazine is also found on various newsstands and at Barnes & Noble and Borders bookstores. For a magazine subscription, visit www.wheretoretire.com or send a check or money order to: Vacation Publications, Attn: Where to Retire, 5851 San Felipe Street, Suite 500, Houston, TX 77057. Phone Orders: (713) 974-6903.